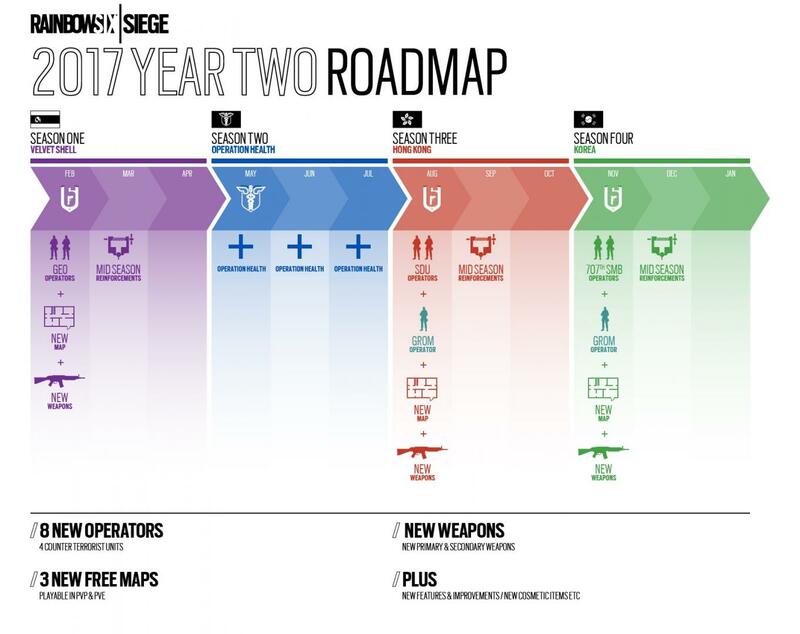 The original plan for the Year Two DLC content for Rainbow 6 Siege would be, much like last year, it would get released over the course of four "seasons," with new operators, maps, and other goodies released each season. Plans do change, however, and Ubisoft has decided that they need to spend a little time addressing the overall health of the title for now instead of releasing new content. In a blog post last week, the developer went detailed what they now have planned for the shooter over the next few months. 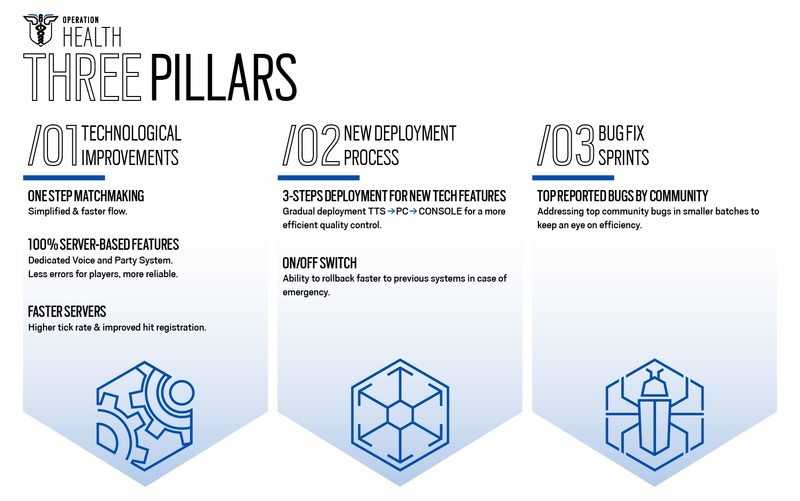 Rather than move forward with releasing the next DLC package, which was slated to add two new operators and a new map based around Hong Kong, they are pushing everything back so they can instead spend this time improving the stability of their servers, propping up a test server to try out new features before they go live, and address bugs reported by the community. They're calling it "Operation Health." This shift in plans, however, comes with a cost. The planned fourth bundle of DLC, which was going to be based around Polish operators and a new map in Poland, has been, more or less, scrapped altogether. 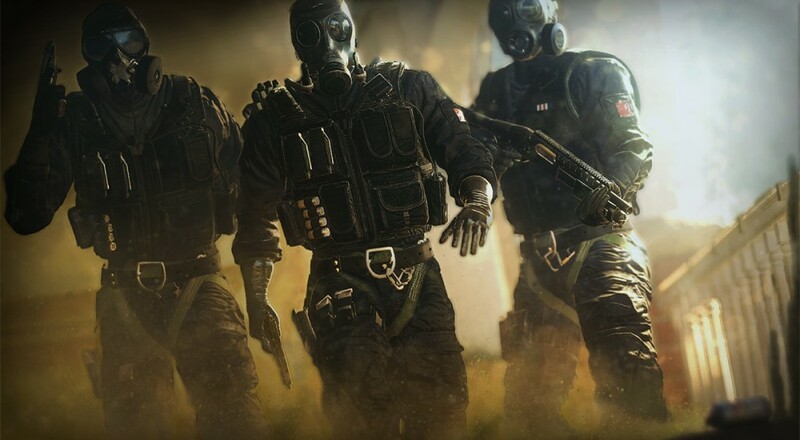 The good news for everyone who bought a Season Pass out there (and for those of us who prefer the PvE side of things in this game) is that the two operators that were a part of all that will still be released. One will now be added to the Hong Kong DLC, which will be coming out sometime in August, and the other will be added to the Korea DLC, which is slated for a November release. The bad news is is that the new map is gone. As they are still delivering upon the new operators and early access to them if you're a Season Pass holder, then Ubisoft is stating they're still upholding their end of that bargain and therefore no refunds. Technically, I suppose, they're right and it's also good they're taking the time to address and fix some issues with the title. Still, I imagine there are a number of players out there that, understandably, feel a little raw about this deal. Rainbow 6 Siege is out now on PlayStation 4, Xbox One, and PC. It supports five player online co-op in the Terrorist Hunt mode.